Fight the demons and save the world with the Winchester Brothers, Sam and Dean. 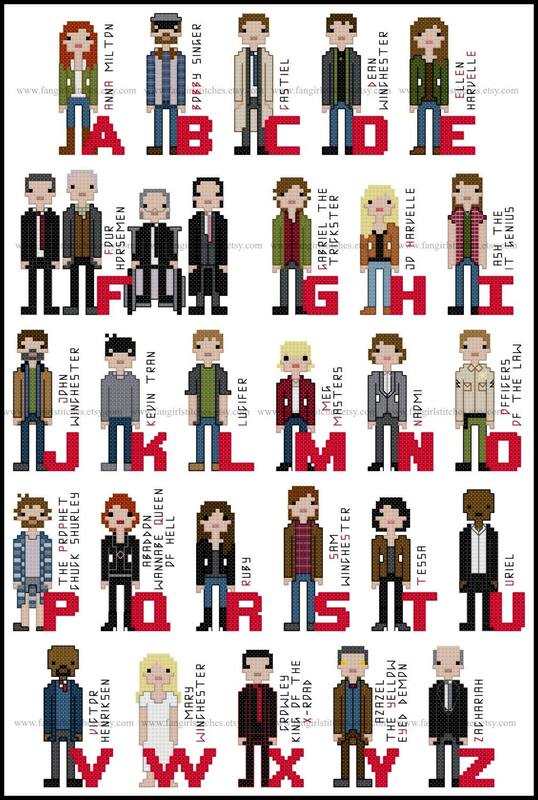 This alphabet cross stitch pattern includes 29 of your favourite characters from the hit television show, Supernatural. 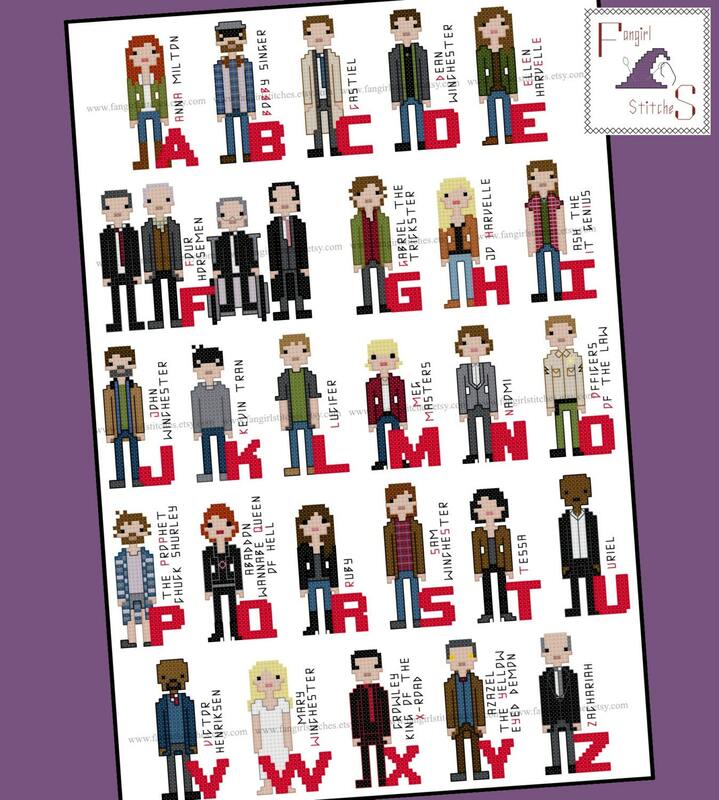 A = Anna Milton, B = Bobby Singer, C = Castiel, D = Dean Winchester, E = Ellen Harvelle, F = Four Horsemen, G = Gabriel the Trickster, H = Jo Harvelle, I = Ash the IT Genius, J = John Winchester, K = Kevin Tran, L = Lucifer, M = Meg Masters, N = Naomi, O = Officers of the Law, P = The Prophet, Q = Wannabe Queen of Hell, R = Ruby, S = Sam Winchester, T = Tessa, U = Uriel, V = Victor Henriksen, W = Mary Winchester, X = King of the X-Roads, Y = Yellow Eyed Demon, Z = Zachariah. I am stitching this project for the A to Z Blog Challenge over at www.fangirlstitches.blogspot.com.au if you want to follow my progress and see how the finished piece will look! This design includes whole stitches, fractional stitches, back stitches, and a couple of French knots, and is suitable for intermediate stitchers. Love the design and easy to follow instructions. I loved your working of this, I figured I needed to have it too! Thanks ever so much!